The Kumon Japanese Language Program aims for learners to develop an advanced level of reading comprehension ability which enables them to fluently read authentic Japanese texts such as books, newspapers, magazines, and email. The Japanese Language Program is comprised of 15 levels with a total of 3,000 worksheets. The worksheets progress in a series of small steps and include directions written in English, Portuguese, or Chinese, which promote self-learning. The worksheets are accompanied by CDs that were recorded by native Japanese speakers. Using audio players, students listen to and repeat basic words and sentences. Through intensive practice in reading, writing, and oral reading, students enrich their vocabulary and systematically learn about Japanese grammar; eventually developing advanced reading comprehension ability as they go from reading simple passages to different genres of literature. Students can attend Kumon Centers offering the Japanese program on two designated days per week. At the center, students do their worksheets and practice oral reading. The rest of the week, they are assigned homework for study at home. 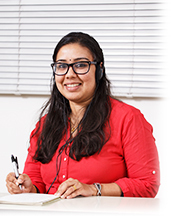 The correspondence course is perfect for people who are too busy to regularly attend a Kumon Center, or for those who live far from Kumon Centers which offer the Japanese program. Students do the worksheets at home and, twice a month take online reading lessons with a Kumon Instructor over the internet. 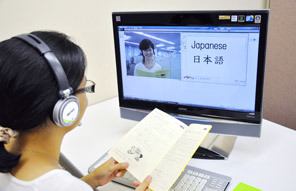 Instructors are capable of communicating with students in English, Portuguese, or Chinese.